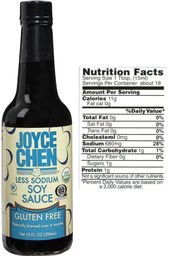 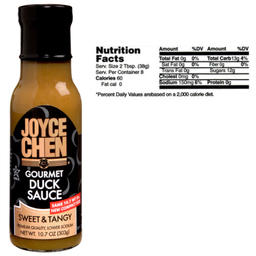 Joyce Chen Double Black Soy Sauce is now available online through Famous Foods (see link below), and in select stores. 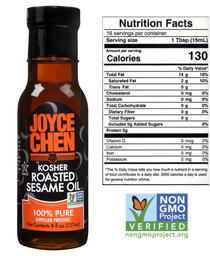 It is certified Kosher by Circle K.
Compared to regular soy sauce, which is light in color and saltier tasting, this darker soy sauce gives dishes a bright dark brown color, and adds a fuller flavor to dishes. 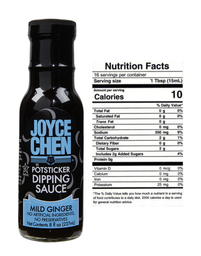 Following the strict requirements of Joyce Chen, we've created our Double Black Soy Sauce with no caramel coloring, no preservatives, no added MSG, and no high fructose corn syrup. 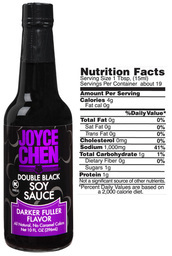 Just like out gluten free soy sauce, Joyce Chen Double Black is naturally brewed over 6 months the traditional Asian way. 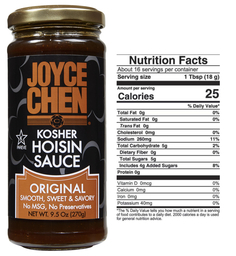 Now home cooks stock both light and dark soy sauce in their pantries. 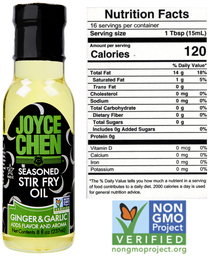 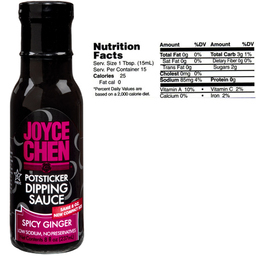 We recommend Joyce Chen Double Black Soy Sauce for stir fry dishes, and Shanghai slow cooked dishes. 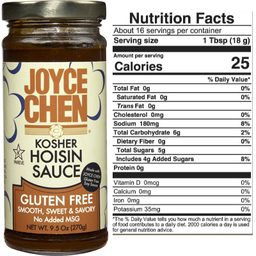 Joyce Chen's recipe for beef and broccoli is delicous when make with our dark soy sauce.